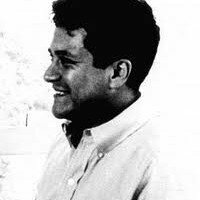 Carlos Castaneda is a figure wrapped in mystery. In a series of books that orbit around the relationship between Carlos and Don Juan, a desert sorcerer with magical powers, his philosophy emphasized power; the power to possess the moment of life we are living, the power to control one’s mind and experience and the power to access the realm of the unknown through spiritual practices. Carlos Cesar Arana Castañeda was born on Christmas Day, 25 December 1925. He moved to Lima as a young man and studied at the Colegio Nacional de Nuestra Senora de Guadalupe and the National Fine Arts School of Peru. He left home shortly after his mother’s death, promising never to return, and kept his promise. He moved to San Francisco in 1951 and later attended Los Angeles City College (1955-59). He became an American citizen in 1959 and that same year enrolled in UCLA. He received his B.A. in anthropology in 1962 and pursued his graduate studies sporadically through the next decade when he finally completed his Ph.D. in 1973. In January 1960, Carlos married Margaret Runyan. Even though there are many rumors of a divorce in 1973, they were actually never divorced and were still married at the time of Carlos passing in 1998. During his studies he published his first three books. Starting with “The Teachings of Don Juan” in 1968, Castaneda wrote a series of books that describe his training in shamanism. The books, narrated in the first person, relate to his experiences under the tutelage of a Yaqui “Man of Knowledge” named Don Juan Matus. Don Juan was represented as a sorcerer and metaphysical master of the Mexican border who taught a higher reality involving the visionary potentialities of drugs like mescaline. The books caught the imagination of a generation of spiritual seekers who were using various mind-altering drugs and the attention of social scientists who were opting for new theories about the subjective nature of reality. His third book had been presented as his doctoral dissertation. Anthropologists praised Castaneda, and Don Juan became a cult figure, although this elusive sorcerer seems to have manifested only to Castaneda and remained a mystery man. His 12 books have sold more than 8 million copies in 17 languages. Critics have suggested that they are works of fiction; supporters claim the books are either true or at least valuable works of philosophy and descriptions of practices which enable an increased awareness. “To ask me to verify my life by giving you my statistics…is like using science to validate sorcery. It robs the world of its magic and makes milestones out of us all”. Following that interview, Castaneda retired from public view. Castaneda withdrew from public view in 1973 to work further on his inner development, living in a large house which he shared with three of his female companions (“Fellow Travellers of Awareness”). The women broke off relationships with friends and family when they joined Castaneda’s group. They also refused to be photographed and took new names. In the 1990s, Castaneda once again began appearing in public to promote Tensegrity, a group of movements that he claimed had been passed down by 25 generations of Toltec shamans. 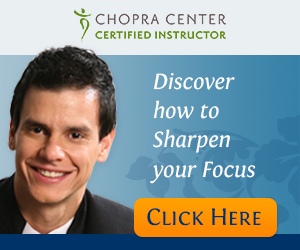 Soon after, he founded Cleargreen, an organization that promoted Tensegrity, purportedly a traditional Toltec regimen of spiritually powerful exercises. Castaneda died on 27 April 1998 (aged 72) in Los Angeles due to complications from hepatocellular cancer. There was no public service; Castaneda was cremated. It was not until nearly two months later, on 19 June 1998, that an obituary entitled “A Hushed Death for Mystic Author Carlos Castaneda” was published by the Los Angeles Times.